BOOK HERE WITH FREE BREAKFAST !! 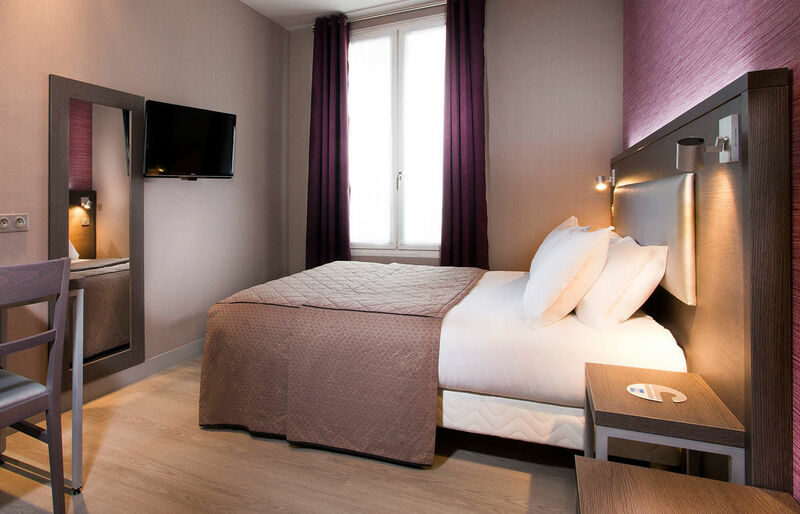 With a recent makeover, the Hotel des Pavillons offers budget accommodation in the Porte Maillot district of Paris. Located between the Arc de Triomphe and the Palais des Congres, this two-star hotel is an ideal location for visiting the legendary Parisian sights. Our rooms have been updated and upgraded and will fulfill all your needs for a low-cost stay in the heart of Paris.